Yeah, this blog has been pretty quiet lately. I realized that I couldn’t continue blogging until I shared something personal with all of you. 8 days, 11 hours, and 8 minutes ago, I lost my Dad. He and I were very close for my entire life. He was a rock in my life, the person from whom I learned everything about unconditional love, the value of hard work and ethics, the importance of good humor. I could write volumes on the strength of his character, the depth of his generosity, the purity of his spirit, and the warmth of his big bear hugs. During this time, I find myself wanting for more photos of him. I have a stack of them on my desk and framed photos on my bookcase, but I’m feeling hungry to see every single photo of him I can find, and regretting the ones I didn’t take. Good or bad photos, suave, silly or somewhere in between. I want to remember every moment. I work with photos every day, so it is easy to take for granted what they really do for us. They somehow keep people close to you even when they’re not. They help to remember the big moments and the small ones, the ways we change through our lives and what we mean to each other. They help us to feel gratitude for the people in our lives and the time we get to spend with them. 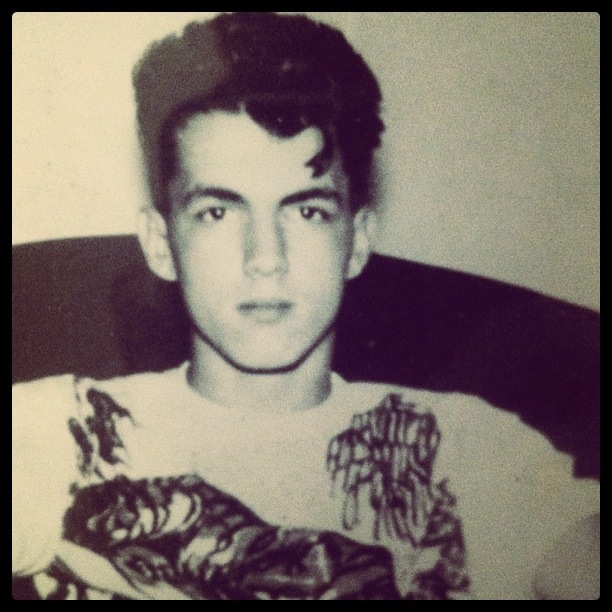 I’d like to share a few photos of my dad, starting with this, the earliest photo of him, from when he was about 15. These are just a few images from throughout his life. I love the film strip on the left, I think he looks a little like Clooney in O Brother, Where Art Thou? The right top image is Dad with a teddy bear he had my entire life, and the bottom is a picture of me and him last year on his 75th birthday. Thanks so much to all of you, for allowing me into your lives to capture images of your loved ones and the moments in your life. I can’t think of anything I’d rather be doing. Love you. Thinking about you. It is all so true. -the undeniable value of pictures. That picture of you and your dad is one of the sweetest I've ever seen. So much joy, kindness, gentleness, and love in just one single image. Much love to you during this difficult time... am thinking about you. May you continue to hold him in our heart as tightly as you did on his 75th birthday. It will be tough but you will get thru it. You will be in my prayers. Sorry to hear about your loss. I am so sorry for your loss. I do love his pics from when he was young! They really show his personality! Fantastic! What a great tribute to your dad. I'm sorry to hear of your loss. 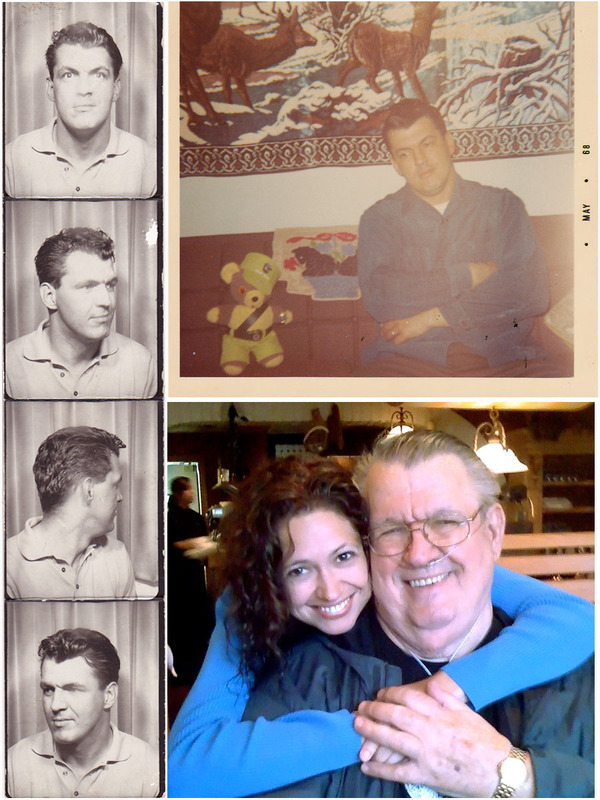 Just catching up on reading your blog...love this tribute to your dad and to love. And all those volumes you could write about him? The same things could be written about you. Love the old pictures!